Seamless, by definition, means “perfectly consistent,” but many people get confused by terms like “seam-free” and “welded-and-drawn” when it comes to selecting tube. Seamless tubing, welded tubing, and seam-free tubing all appear to be consistently free of seams, but a closer examination reveals big differences. Seamless 316 tubing offers increased corrosion resistance, because it is 100% seam-free without any longitudinal or orbital welds. Seamless tube begins as molten steel, which is refined and cast in to a billet. 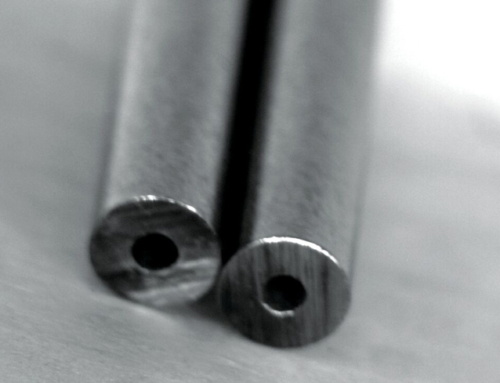 The billet is extruded into a seamless pipe that is then reduced to a smaller size using a pilger mill, which utilizes a mandrel to support the internal diameter. After the reduced pipe is cleaned and annealed, it goes through a cold-drawing process. This process uses a die to reduce the outer diameter and a plug to maintain the inner diameter. After the reduced pipe is cleaned and annealed, it goes through a cold-drawing process. This process uses a die to reduce the outer diameter and a plug to maintain the inner diameter. After cleaning and annealing, the cold-drawing process is repeated many times until the tube reaches the desired dimensions, still perfectly seamless. To produce a welded tube, flat strip is roll-formed and joined with a longitudinal seam. The process can be done several different ways, including tig welding or laser alignment. Producing welded tube is simpler and therefore less expensive than seamless. However, the weld area is dimensionally inconsistent with the strip and causes areas of stress concentration. For tubes exposed to high internal pressures, inconsistencies in the tubing can be a major concern. Crevices can cause cracks, which can propagate and cause the welded tube to rupture. As a result, ASME B31.3, Process Piping Code, de-rates the working pressures of welded tubes by 15 percent compared to seamless tubes of the same dimensions. Furthermore, these crevices, which exist on both sides of the weld seam, create opportunities for corrosion. Metallurgical contamination during heat treatment can also lead to corrosion, as residue from the manufacturing process may become trapped in these crevices. In some applications, where a medium is cyclically pumped through the tube, the weld seam can flake off and affect the performance of the overall system, and that can be detrimental. Longitudinal welds present an opportunity for defect, which cannot be tolerated in critical applications. Some manufacturers use different methods in an attempt to minimize the dimensional variation and integrate the weld seam. A common method used is to re-draw the welded tubing through a die. This often includes a plug on the inside of the tube for support, but it can also be done without a plug. These products are known by many names including: welded-and-drawn, seam-integrated and seam-free tubing. Redrawing “as-welded tubing” with a die and plug and subsequently annealing helps homogenize the weld. However, in order to fully homogenize the weld, these operations need to be repeated several times, increasing the overall cost of the finished product. 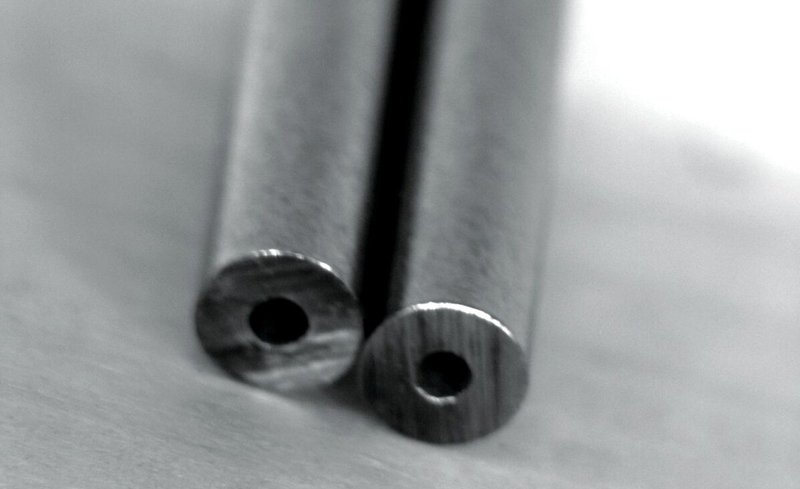 Seamless tubing, in comparison, does not have any welds. 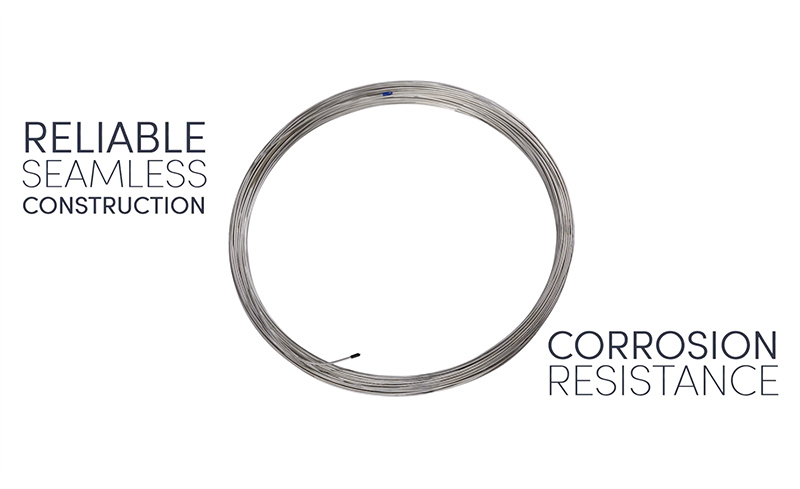 And stainless coil tubing that is seamless is always the best choice. Certain extreme applications will specify the need for seamless high pressure tubing and will discourage the use of welded tube because the designers cannot risk the opportunity for defect. Major seamless applications include control lines for subsea safety valves for the oil and gas industry, hydraulic controls for shipbuilding, fuel and hydraulic lines for aerospace, and heat trace bundles for chemical processing. 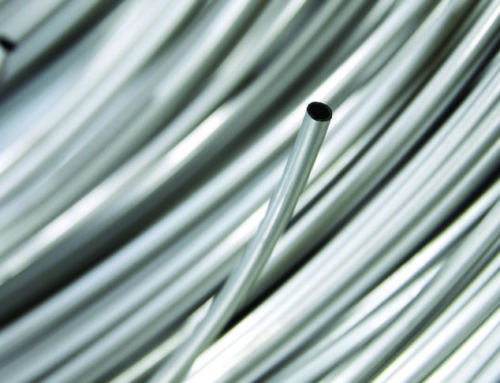 Welded tubing may be specified for applications within the medical device, automotive, and appliance industries. Seam-free tubing is used as a substitute for seamless tubing in some applications, but the products are not always interchangeable. 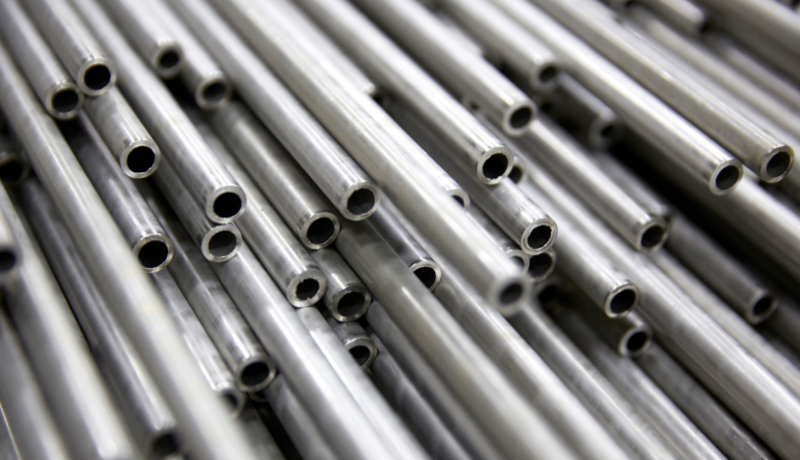 In high-pressure applications, this type of corrosion resistant tubing is the preferred choice. Finally, quality is imperative when choosing a type of tube. It is important to consider the raw material used, production process, and integrity of the mill. Raw material should be of the highest quality. Reputable tubing suppliers fully document their certifications and satisfy or exceed ISO 9001 requirements. Their systems extend to the manufacturing process and allow for quality checks throughout the production of products. 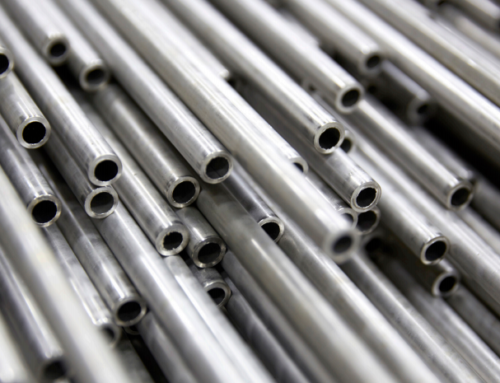 There are many differences between seamless, welded and welded-and-drawn tubing: complexity of the manufacturing process, cost of the finished product, opportunity for defect, and pressure rating. The engineer responsible for designing the equipment must ultimately specify whether he prefers to use seamless, welded or welded-and-drawn tubing in his application. He must determine if a failure in his process would be catastrophic. 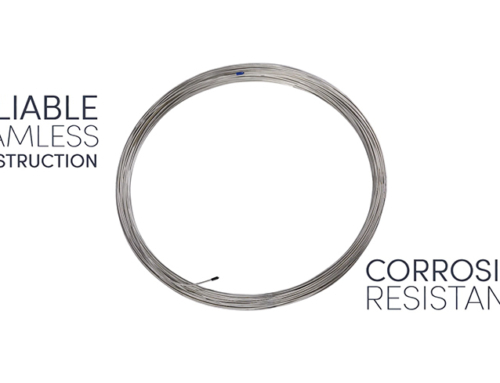 Seamless tubing is the preferred option in critical applications because of its reduced opportunity for defect and ability to withstand higher pressures, but there are many applications of noncritical nature around the world that successfully utilize welded or welded-and-drawn tubing. 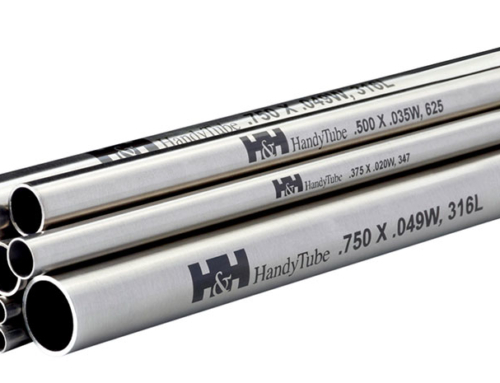 HandyTube Corporation, a Handy & Harman Company, is a premium manufacturer of stainless steel coil tubing for a variety of high-pressure and hazardous applications. HandyTube’s seamless, stainless steel coils are used in applications for the oil and gas, chemical processing, shipbuilding, instrumentation, hydrogen fuel cell, aerospace and defense, process automation, and life science industries. 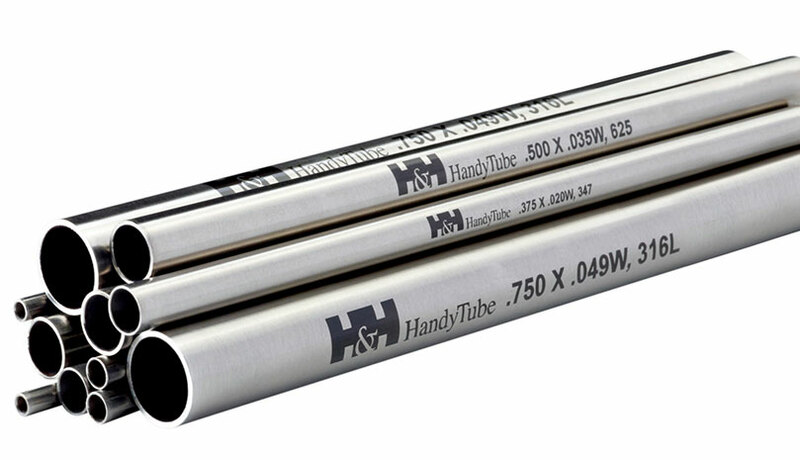 For a competitive quote on seamless tubing, contact sales@handytube.com or request a quote click here.